MobileMe paid subscribers have been enjoying Apple's Find My iPhone services for a long time now, and today Apple has turned around and made this service completely free for iOS 4.2 users. 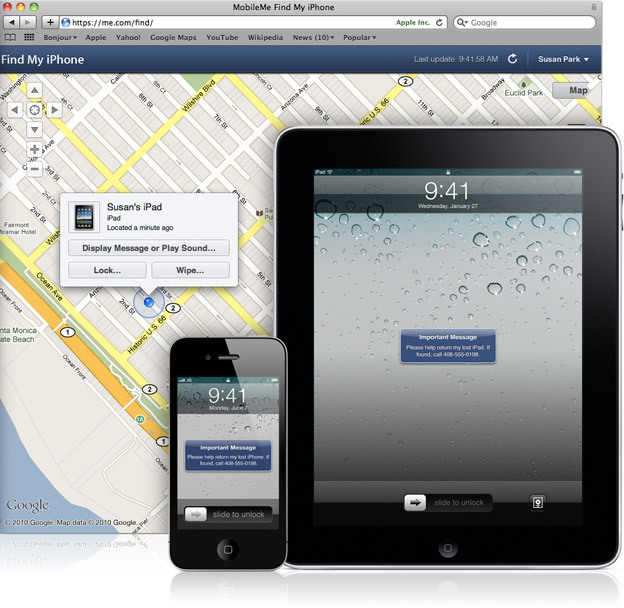 The app allows you to locate a lost or stolen iPhone 4, iPad and iPod Touch 4G when you've got the app installed onto the device. You will need to create a free MobileMe account in order to setup the Find My iPhone app and begin locating your device/s. It's quick and easy so everyone should have this installed just in case. You can remotely wipe all your data, set a passcode lock, display a custom message on the screen with a sound and even back your data. Thank you Apple, for looking after us. It's about time Apple renames their app though, don't you think?